This page will tell you the terms in which you may use this website – www.wnj.co.uk. By using this website, you already indicate you abide by the terms and conditions of this site. If you do not agree with these terms, please refrain from using this website. 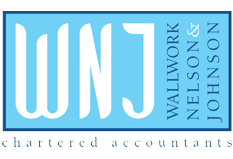 www.wnj.co.uk is the website for WNJ, the trading name of Wallwork Nelson and Johnson. Our registered office is at: Chandler House, 7 Ferry Road Office Park, Riversway, Preston, PR2 2YH. Access for our website is permitted on a non-permanent basis. We reserve the right to withdraw or amend the service we provide on this site without notice. We will not be liable if for any reason our site is unavailable at any time or for any period. From time to time, we may restrict your access to some of the website. You are responsible for making arrangements necessary for you to have access to the site. We will make changes to the website frequently and we may also change content also. There may be also a point when access to the site is restricted in the advent of a major update. Material on this site may be out of date and we are under no obligation to update it frequently. We are the owner and licensee holder of all intellectual rights on the website as well as the material published on it also. Our works are protected by copyright laws. You must not misuse this site by knowingly introducing viruses, trojans, worms, logic bombs or other material which is malicious or technologically harmful. You must not attempt to gain unauthorised access to our site, the server on which our site is stored or any server, computer or database connected to this Site. You must not attack this site via a denial-of-service attack (DNS). By breaching this provision, you may commit a criminal offence under the Computer Misuse Act (1990). We will report any such breach to the relevant law enforcement authorities and we will co-operate with those authorities by disclosing your identity to them. In the event of such a breach, your rights to use this site will be revoked immediately. You may not link to this site without our prior written permission. This site must not be framed on any other site without our prior written permission. We reserve the right to withdraw linking and framing permission without notice. If you wish to make any use of material on this site other than that set out above, please address your request to: webadmin@wnj.co.uk. If you have any concerns about material which appears on our site, please contact webadmin@wnj.co.uk.